Lima/Allen County is located near some of the state's best education resources. Lima/Allen County is home to a robust educational system, offering an array of resources and attracting students from all over the state of Ohio, and beyond. Allen County is home to numerous award winning public and private K-12 schools, and within our career centers we have a variety of technical programs tailored for our local business needs. 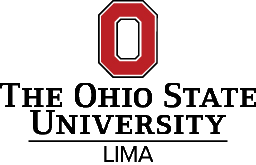 Lima/Allen County is also home to a number of universities and colleges offering a range of accredited undergraduate and graduate programs. Our location in Northwest Ohio offers our residents access to additional educational resources in our eight county region. Through many workforce initiatives, graduates are offered valuable resources for seeking employment upon graduation. No matter what type of educational program you seek, chances are we have what you need.